January 2019: 2019 is off to a great start, with Dr. Anupom Mondal being chosen as an INSPIRE associate. The INSPIRE Postdoctoral Program at Rutgers provides mentorship in teaching and career development for postdoctoral fellows. More about the program here: http://rwjms.rutgers.edu/research/postdoc/inspire/ Congratulations and best wishes to Anupom! Graduate student Bhavya Blaze joins the lab as a doctoral-track student of Nutritional Sciences. Welcome Bhavya! December 2018: The lab celebrated many many holiday parties and events and made plans to travel and relax with family and friends for a few days, before beginning anew in 2019! We wish you all a happy and safe holiday season! 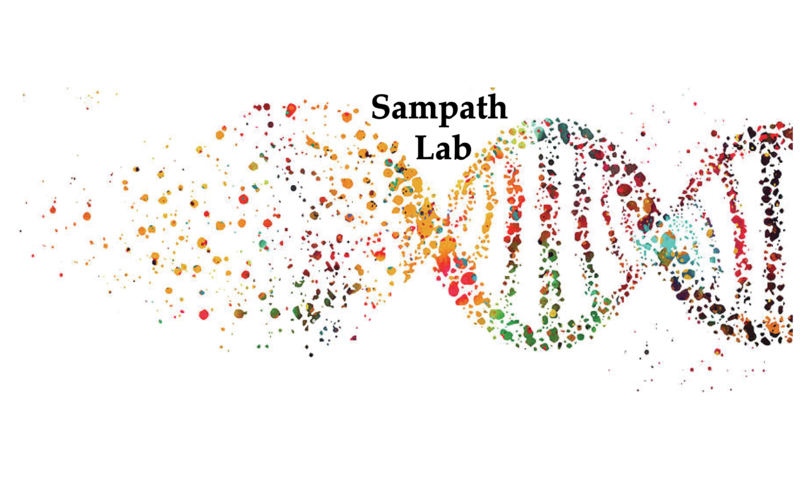 November 2018: Sai successfully completes his doctoral qualifiers – Congratulations Sai on officially graduating to be the first doctoral candidate from the Sampath Lab! October 2018: Harini receives a Research Innovation grant from the Office of the Vice Chancellor for Research and Innovation. October 2018: The graduate students dress up as C57Bl6 and obese Agouti mice for the departmental Halloween event. October 2018: The lab bids a fond and teary farewell to Dr. Mary Falduto – we will miss you! October 2018: Sai has a first-author publication in Nature Scientific Reports on the role of mitochondrial DNA repair in adipose tissue and its contribution to body weight regulation. Great work! September 2018: Harini co-chairs Session on Metabolism at the 3rd Central European Biomedical Congress in Krakow, Poland and gives a talk on DNA repair as a novel player in metabolic regulation. August 2018: Tas passes her gruelling qualifiers. Hooray Tas! August 2018: Sai and Dr. Sampath attend the Kern Lipid Meeting in beautiful Vail, CO. After a day of altitude adjustment, Sai presents his work both as a poster and an oral presentation. July 2018: Sai receives a Travel Award from the Kern Lipid Symposium and is chosen to give a short oral presentation. Great going, Sai! July 2018: Natalie passes her qualifiers with flying colors. Congrats Natalie! May 2018: Dr. Sampath presents the lab’s findings on OGG1 and metabolic disease at the Columbia Lipids Sympsium in NYC. November 2017: Sai receives a travel award for his poster presentation at the RCLR Symposium. Yay for Sai!